Window displays have always had a special relationship with fashion, with department store windows showcasing some of the most inventive and fantastical displays around (did you see the BG Follies this year?). 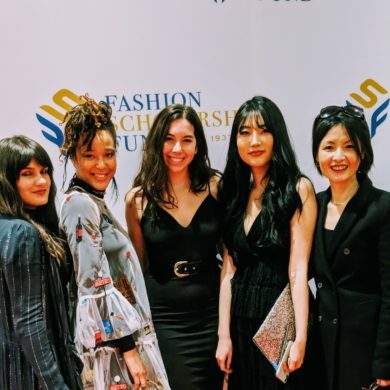 Our visual merchandising students continue this amazing tradition, and each semester they lend their talents to the historic InterContinental Mark Hopkins hotel. They design and build window displays highlighting stories from the hotel’s rich San Francisco history, selecting a different theme each season. Last December, they installed their latest creations, centered around the theme of musicians at the Mark Hopkins. The windows feature mobile dancers, illuminated piano keys, vintage records and even a disco ball. We are always impressed by what these students, led by instructor Martin Zanfardino, come up with–and the ways in which they bring the stories to life. Be sure to visit the Mark Hopkins at 1 Nob Hill in SF and see the displays in action! “Dancin’ with Anson” at The Mark – Chenzi Yang, Yoon Young Choi, and Francis Liang. 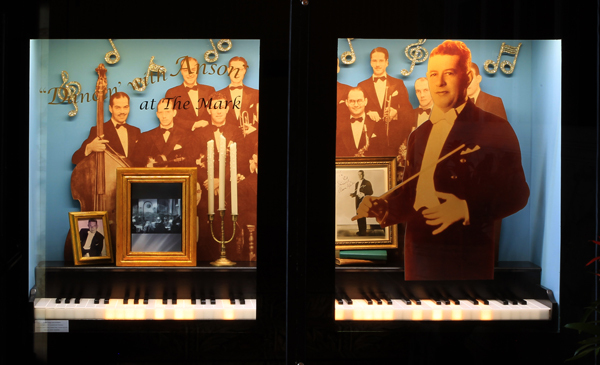 Anson Weeks was a famous band leader who brought his talents to the Top of the Mark in the 1930s. The window features cutouts of the leader and his band, with oversized piano keys that light up as if being played. Follow the jump to see the rest! Benny Goodman at the Peacock Court – Minna Huang, Mi-Ching Huang, and Melina Ortiz. 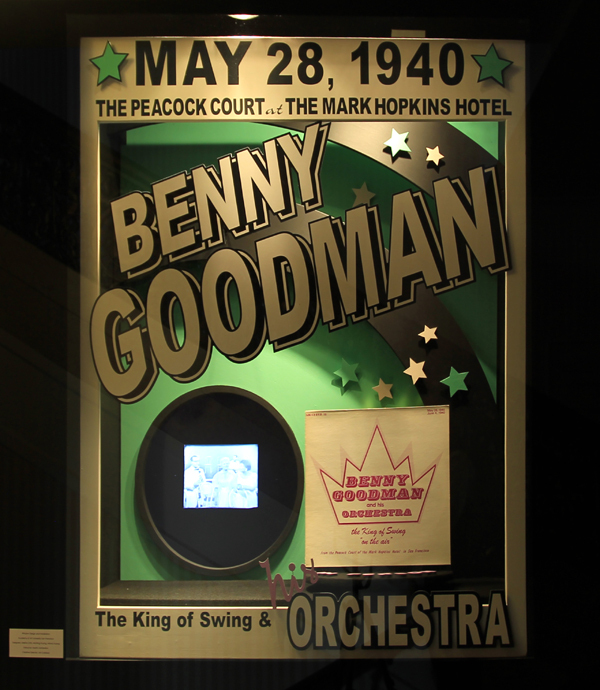 Benny Goodman was a jazz clarinet legend, who played at the Peacock Court and the Top of the Mark during the 1940s. The window is based on event posters from the era. 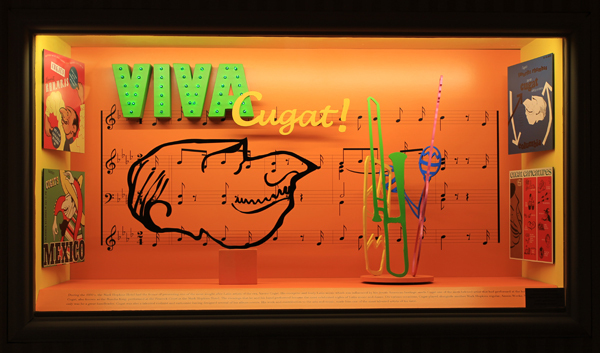 Viva Cugat! 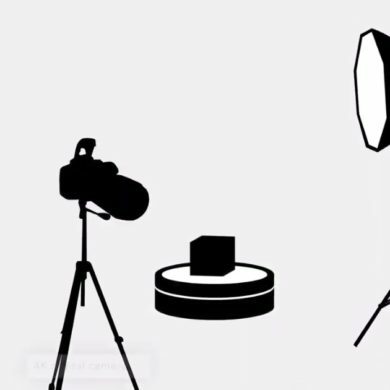 – Nerissa Arviana, Dian Sari, and Kimberly Bolton. 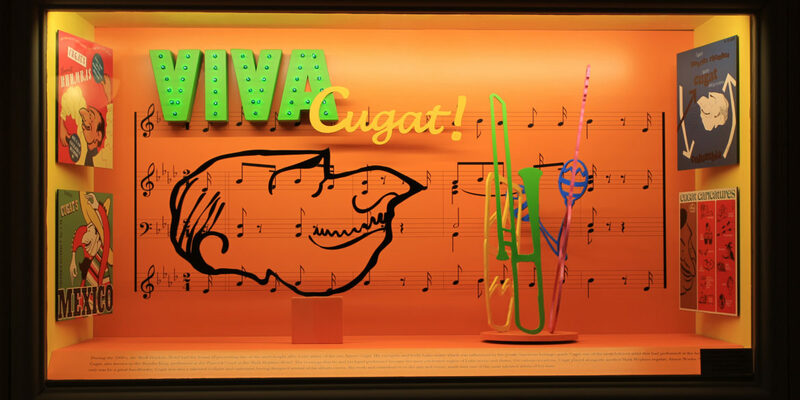 Xavier Cugat, known for is Latin-influenced jazz, was also a talented illustrator who created all of his own album jackets, seen in the display. The bright colors are meant to represent his Latin influence. The DeMarcos at the Mark! – Jin Hee Baik, Woori Han, and Eunkyu Seol. The DeMarco dancers were an American vaudeville dance duo led by Tony DeMarco. He had a habit of making his dance partners his wives, hence the three couples representing his dance partnerships with (and marriages to) Nina DeMarco, Renée DeMarco, and Sally DeMarco. 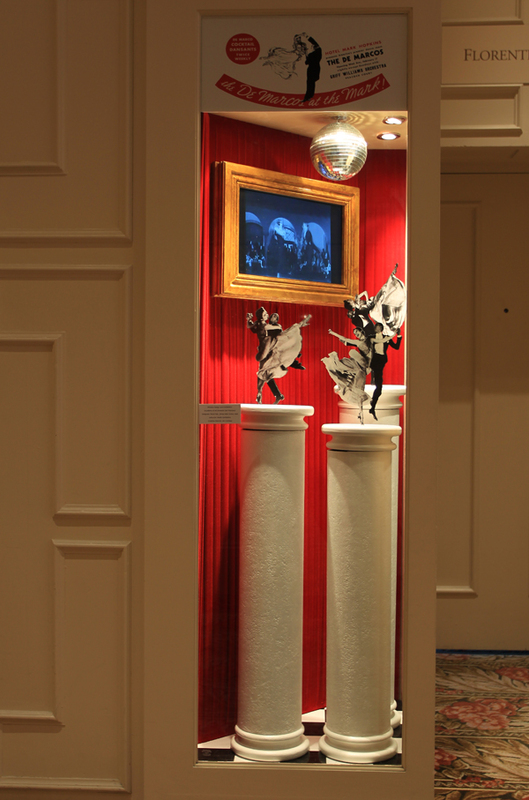 The window features colors and props reminiscent of the stage, and the dancing duos each spin atop their pedestals.